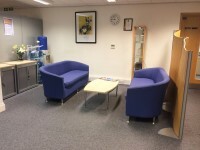 Services / facilities within the building include Human Resources offices which include Payroll, Pensions, Diversity and Equality and Organisational Development. 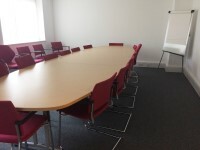 The venue is situated within the centre of the campus. 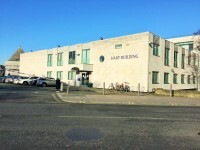 This venue is situated in the Central Campus. The nearest mainline station is Liverpool Lime Street. 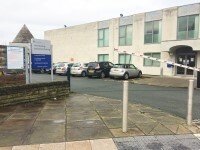 The car park is located at the side of the building. 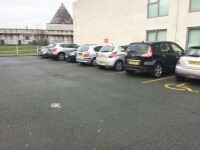 There is/are 1 Blue Badge parking bay(s) within the car park. 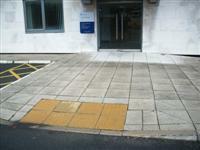 The dimensions of the Blue Badge parking bay(s) are 360cm x 500cm (11ft 10in x 16ft 5in). 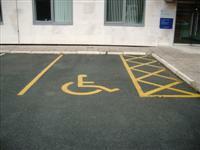 Designated parking bays are clearly marked. The width of the door opening is 154cm (5ft 1in). 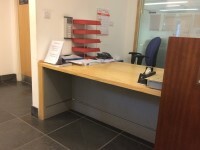 The desk/counter is 6m (6yd 1ft) from the main entrance. 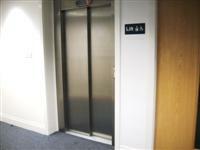 There are manual, heavy, single doors to access the stairwell on the ground floor. 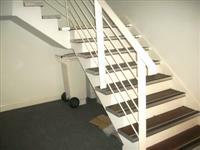 There is also a staircase at the rear of the store with a handrail on the right. The lift is located in the waiting area, just past reception. 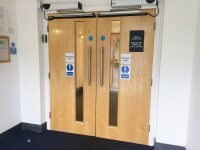 There are manual, heavy, double doors to access the lift lobby on the ground floor. 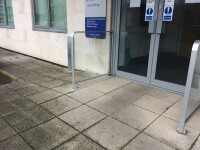 The lift is approximately 9m (9yd 2ft) from the main entrance. 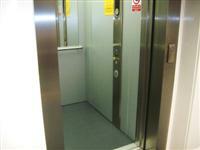 The dimensions of the lift are 101cm x 131cm (3ft 4in x 4ft 4in). 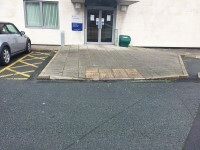 This accessible toilet is approximately 18m (19yd 2ft) from the main entrance. This accessible toilet is located along the corridor to the left of the waiting area. There is also an accessible toilet on the second floor. 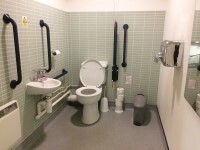 The dimensions of the accessible toilet are 122cm x 195cm (4ft x 6ft 5in). 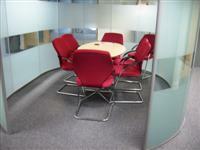 The lateral transfer space is 86cm (2ft 10in). The height of the toilet roll holder is 102cm (3ft 4in). 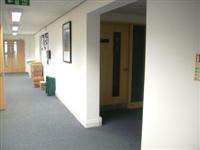 There are male and female standard toilets facilities on the first floor. 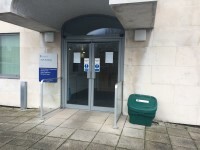 The female and male toilet facilities that were surveyed are located on the side of the waiting area, next to the lift. The female and male toilets are approximately 12m (13yd 4in) from the main entrance. The toilet cubicles have doors which open outwards.